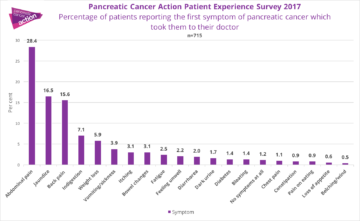 More than a third (38%) of patients in the UK were told their pancreatic cancer was already at stage 4 (spread to other organs such as the liver, lungs or lining of abdomen) when first diagnosed, severely limiting their chance of survival. 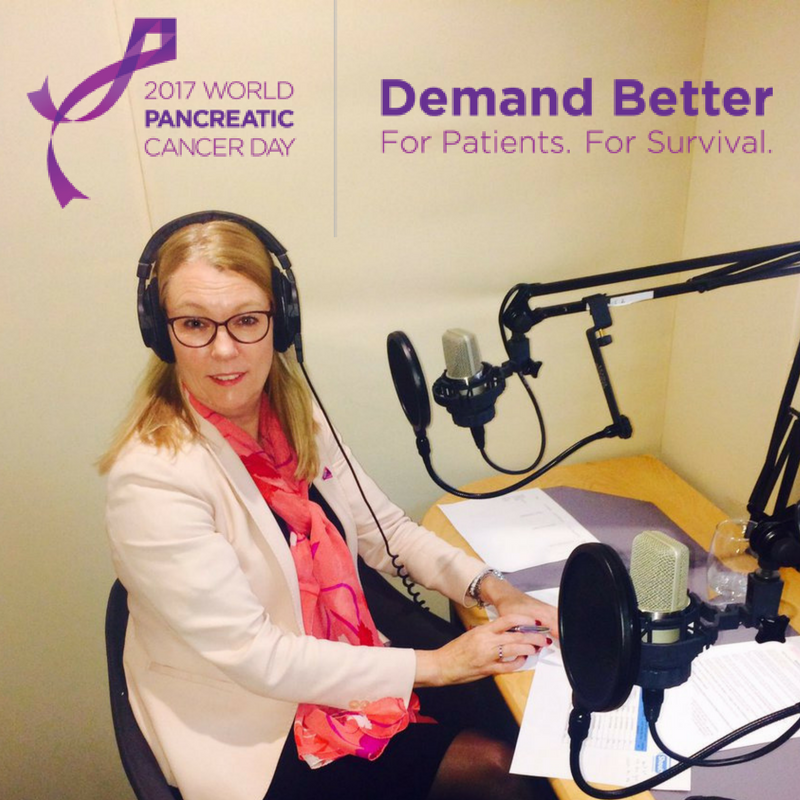 Pancreatic Cancer Action is calling for greater awareness among both GPs and the public. More than half (58%) of GPs initially dismissed their patient’s symptoms as nothing to worry about, with almost two thirds (63%) of patients doing the same when they had their first symptoms. Nearly 1 in 5 patients (18%) who responded had to wait 2-3 months from reporting their first symptoms to being referred to a specialist doctor. First symptom reported by patients who took part in our 2017 Patient Experience Survey. 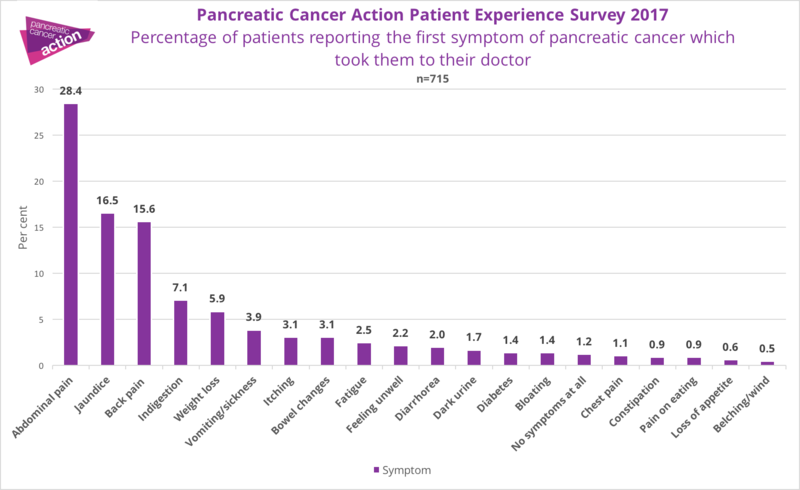 To coincide with World Pancreatic Cancer Day (16th November), the charity has released results of a new patient survey*, finding nearly half (43%) of people had never even heard of the disease before their diagnosis. More than a thousand people worldwide are diagnosed, with an estimated 985 dying from the disease every day – that’s why Pancreatic Cancer action say we must demand better for pancreatic cancer. In 2015, an estimated 367,000 cases of pancreatic cancer were diagnosed globally, and by 2020, an estimated 418,000 new cases will be diagnosed. Pancreatic cancer has the lowest survival rate among all major cancers, and in nearly every country including the UK, it’s the only one with a single digit five-year survival rate (2-9%). Previous Article Local business Dylan’s Ice Cream supports local charity for Pancreatic Cancer Awareness Month Next Article We are at Kings Cross Today!